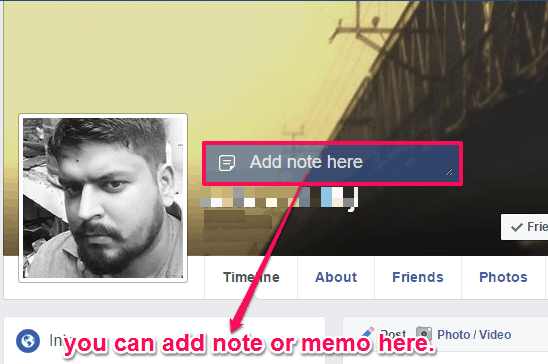 Facebook Friends Memo is a free Chrome extension to keep a memo or note on any Facebook profile to help you remember something about that person or profile. 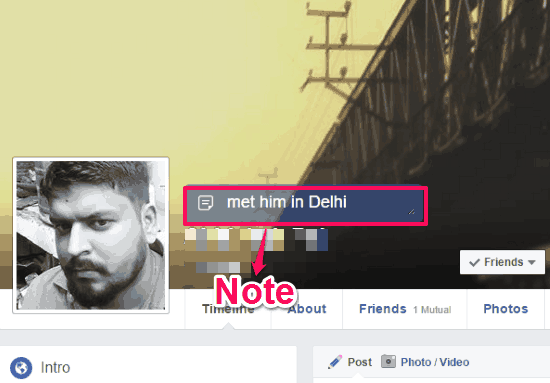 Note made on any profile can be edited again and again. You can even add a note to your own Facebook profile. The note you add is only visible to you, so you get the privacy to use words conveniently. Many times it happens that you make friends on Facebook after having a good conversation with them on any common Facebook page or group without knowing them in real life. But after some time you happen to forget why you guys are friends or how you even know them. For these type of situations Facebook Friends Memo comes very handy. You will also find these Facebook Messenger extensions for Google Chrome very useful. 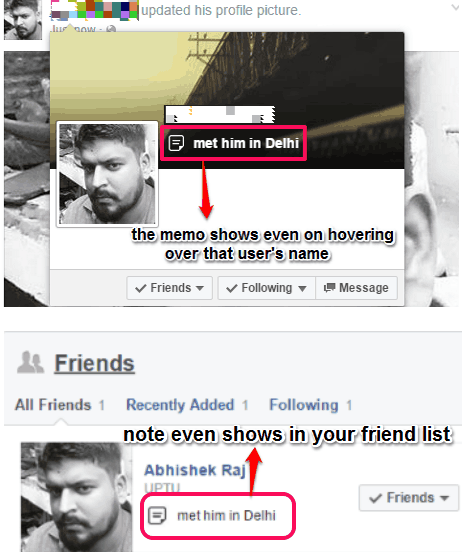 Facebook Friends Memo is a very useful extension for Google Chrome to add a Memo to any Facebook profile for future reference. Once you added this extension from the Chrome Web Store you don’t have to do much, as it starts showing an option to add note near the profile picture. This helps a lot in remembering anything important about anyone. This Chrome extension not only allows you to add note to your Facebook friends’ profiles but also to any other Facebook profile. It even lets you add note to your own Facebook profile. The note you add not only shows up whenever you visit that profile, but it also shows whenever you see that profile in your friend list and also when you hover your cursor over that profile name. The best thing about this extension is that there is no word limit for adding note, you can add as many words as you want. 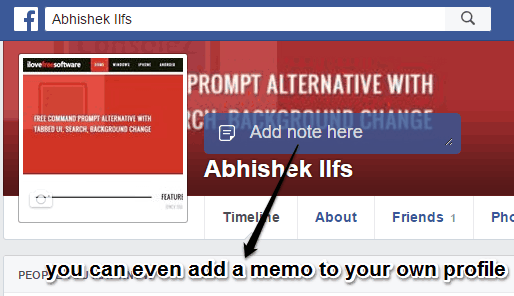 This is a very useful Chrome extension as it lets you add a note to any Facebook profile including your own profile. This helps a lot in keeping some memory about someone tagged to their profiles . So if you also feel the need to add note to Facebook profiles, then this Chrome extension is just the right thing for You.